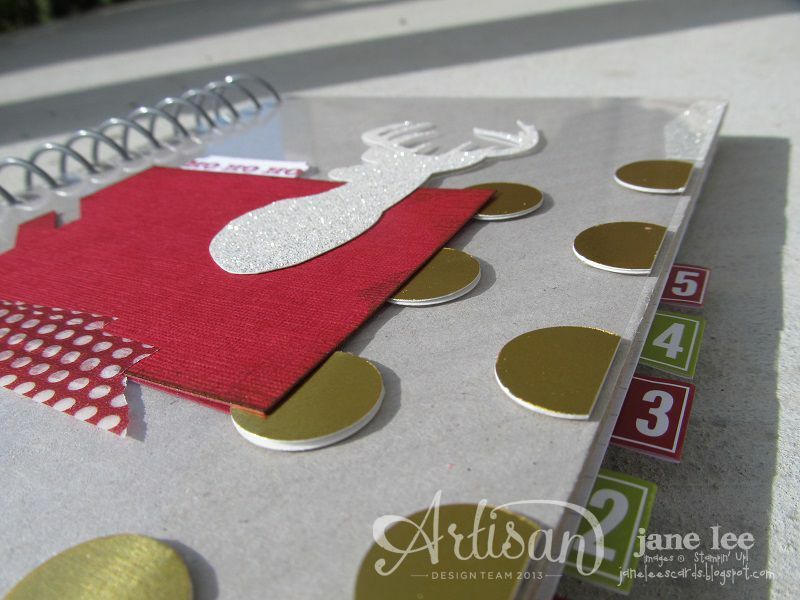 Welcome to the 2013 *November* edition of the Wednesday Artisan Blog Hop. Check back every Wednesday to see new projects that all 10 of the Stampin' Up! Artisans have created. What the...? November? This year has really gone by way too fast!! I love the whole idea of being organized while shipping for holiday gifts. The Season of Style This and That Journal and Designer Stickers were just the ticket. In the organizer there are four pages for monthly planning. I decided to have them all be December but have them each be a different year. Then I got a little excited to think about next year I can look back and see what was planned for this year. I honestly can't remember what I did last December. WHAAAA?! Tell me I'm not the only one. I'm not even sure what I did yesterday. I used the Stickers and Journal as-is EXCEPT for the Window Sheet I added to the front cover. I really liked the idea of letting things "float" on the front page without having to worry about trying to get stuff to stick to the cardboard cover. You know what I'm saying? It took a little time to uncoil the journal but once it was off, it was easy peasy. I cut a window sheet to fit over the front cover and then I just aligned it when the front cover so I'd know where to punch the holes. Then I put the coil back on. And here's a shot of the back of the front cover. I put gold circles on each side of the window sheet so you wouldn't see the glue dots underneath. I didn't care to re-cut another reindeer. Glad we're on the same page. The only element I actually adhered to the catalog was the glimmer "arrow" thing. I love how this organizer turned out! I love how it looks like it has a lot of dimension when it really doesn't. Go back and visit my fantastic friend Erica's blog or move on to the next blog and visit Jeanna's. I'm so lucky to be sandwiched between two of my great friends. Do you follow me on Pinterest? You can. Did you order your Paper Pumpkin yet? Full project kits delivered straight to your door. Love how you added the clear cover...you are such a clever girl! THe reindeer takes the cake. Seriously awesome! Wait. I think I want cake. I am a little hungry. Your genius never ceases to amaze me! Totally ROCKED it! Great idea on the cover! Oh my WORD - this is A-FREAKING-MAZING!!!! Wow Jane! LOVE what you did with the clear cover! Thank you! I actually have been pondering shopping for this program however could not conjure my mind however. therefore glad to visualize that you simply truly use the program to begin your PO business and is successful! Visit Jane's profile on Pinterest. Subscribe to my blog to receive FREE email updates!! I am solely responsible for this blog. 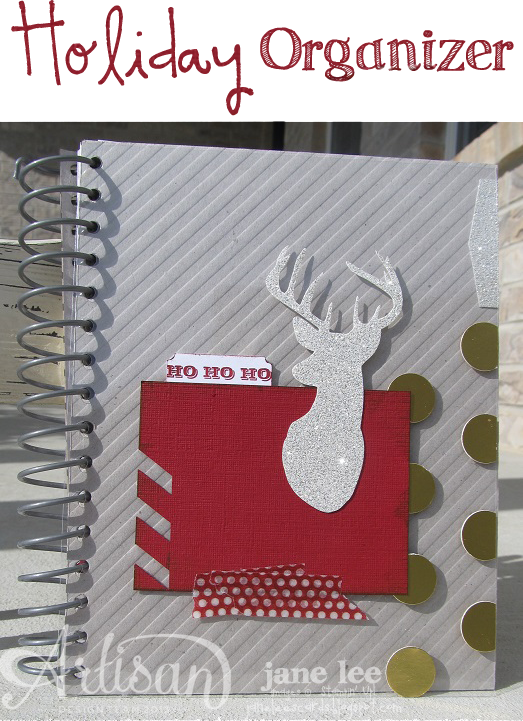 Stampin Up!, nor any other company, does not endorse the use of this blog or its contents. All items in this blog including text, photographs, concept design, works of original artwork, digital art, and any other digital project and content shared are for your personal use, inspiration and enjoyment ONLY and may not be copied for publication or contest submission. Thank you. I love making things with paper or creating digital projects of any kind. I enjoy Project Life ANYTHING and documenting what's happening in my life (I don't scrapbook but I love it when others do.) I'm a sucker for a good workout. High Fitness is my jam! I love cycling with my family. I love to laugh and play games.